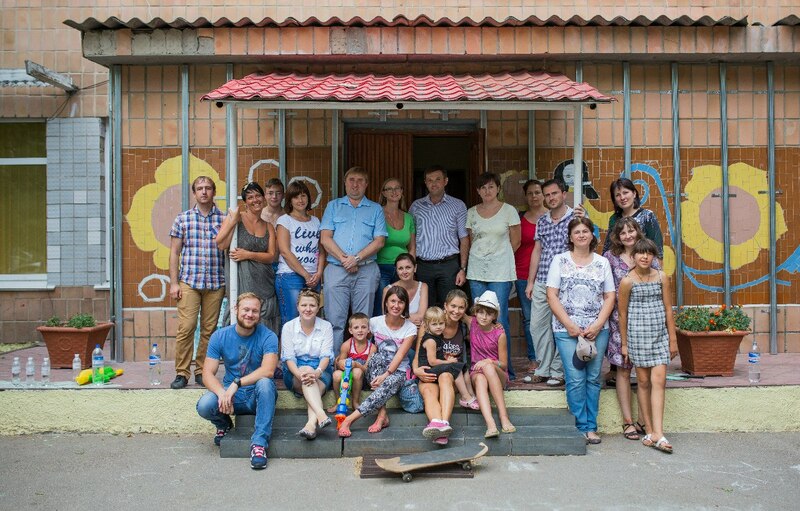 August 15, 2014 employees of the state enterprise «Energy» took part in a charity event to help the orphanage «Nadezhda» (v.Mokrec, Brovary district, Kyiv region). The action workers SE «Eenergorinok» was carried out painting the fence, cleaning the neighborhood, sent aid (clothes, toys, etc.). «August 13, Minister of Energy announced a state of emergency in the electricity market. Energy — basic sectors of the economy, but today is not only energy, but also the whole country is going through difficult times. Ukrainians have made their choice, and now, to protect it, we need to solve a number of priorities, to answer those burning issues that need immediate solutions. However, even at this moment, we can not think about the future. Children — our future, and the country where children are represented at all levels, is a country with a future. Thank you all caring, who joined the action, everyone who took part, gave things and money.